OK – so… I’ve been asked about four times by different brewers about what I think of the various sorts of kegs UK breweries are using. Each time my thoughts are expanded and now I have nearly 2000 2500 words worth of blather about kegs. I don’t have time to clean it up much… but I’ve been left with an unexpected gap in a day so… here is is, in pretty raw “brain dump” form. With respect to costs I suggest brewing folk talk to other brewing folk as, like I said, I am not a brewer so any vague cost info below is 2nd hand! First, an aside on conditioning. Some folk simply fill their kegs the same as they fill their casks with final conditioning occurring due to continued fermentation in the keg. This is often a source of pain… venting a cask is usual, venting a keg is something UK pubs no nowt about. So unless you’re accurate with your conditioning in the keg then you’re going to have problems with returned beer. I’m finding more breweries are shifting to getting final condition nailed in CT before filling to keg. Then again folk like Moor seem to keg condition consistently and reliably. YMMV… I’d say it is a subject you’re best off talking about with breweries who use different methods of keg filling/conditioning. I know a few folk who rack brightish into keg and then force-carb in keg… but this looks like a right pain. Time consuming and thus unscalable. Get yourself a CT! Your very own steel kegs… Easy to handle. Robust. Expensive up front. And as much of a pain to track down and repatriate as your own casks. But breweries are used to handing cask tracking so just the same really. You also obviously need specialist keg cleaning equipment. Although I know at least one brewery de-spears their kegs for cleaning… and so far doesn’t seem to have killed anyone. 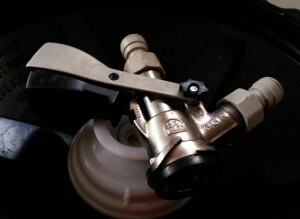 Most breweries with their own kegs have them in 30l with Sankey connectors. But I’ve seen a handful about who use A-type connectors, and some 50l kegs – 50l size is great for house lagers, etc… beers that sell in volume. Summer Wine Brewery are an example of a brewery with a good population of their own kegs. SWB use 50l kegs for the 4.1% Pacer too. Another example is Outstanding brewery in Bury who have 50l A-type kegs – and focus on “house lagers” & Guinness-alternative stout markets – i.e. good quality indy replacements to mainstream “macro” lagers and Guinness. With respect to keg size think about the market you’re targeting. The “rotational craft beer” market seems to be mainly about 30l keg sizes. Some breweries who use eKegs: Buxton, Five Points, Hardknott – worth noting that these three entirely, or almost entirely, shift their keg volume through distributors. Five Points & Hardknott also have a population of their own kegs for direct distribution. I have never had any technical issues with steel kegs with respect to coupler connections, leakage, breakage, or handling. (I have had the odd over-conditioned one, but this isn’t the keg’s fault.) Fifty litre kegs are a hassle to handle, but not too bad, and no trouble compared to kils (which I currently handle an increasing number of). 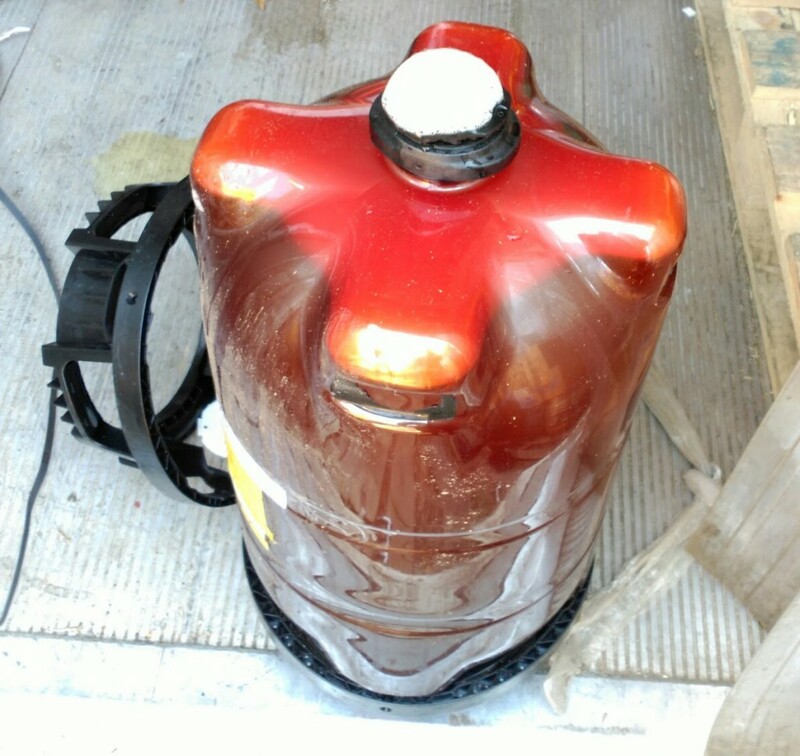 EcoKeg – the 30l keg that is the size of a 50l keg. Available in different coupler types, but best to use Sankey as that’s what everyone else uses. 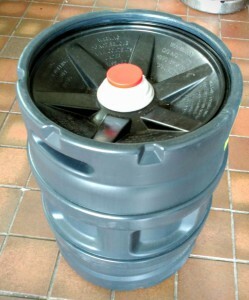 The EcoKeg is a 30l top-pressure keg that works effectively the same as steel kegs. The Sankey connector is sturdy and I’ve never had any trouble using them. 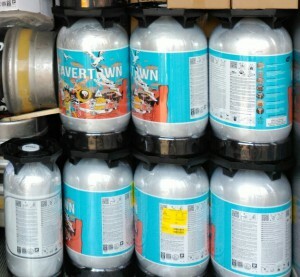 Breweries can buy these pressurised and ready to be filed as per a normal keg. Alternatively you can buy them with the top loosely screwed on so you can unscrew and rack beer in exactly as you do for cask. 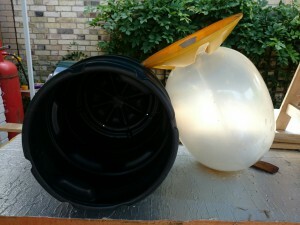 As an added bonus the robust outer on an EcoKeg is opaque to light – and the inner bladder uses an O2 scavenging plastic. They’re also part-reusable… under the name ReKeg. The inner bladder with connector can be removed and replaced with a new one. 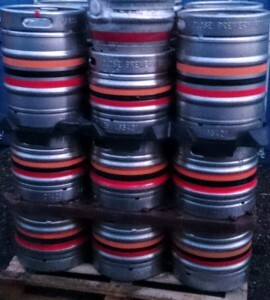 The kegs can be (and are) collected by EcoKeg to be “ReKegged” at their facility in South Wales. Or EcoKeg can tool up your brewery to do the “ReKegging” yourselves. This way you can just have the bladders shipped to you and reuse your kegs. I’ve no real handle on the costs of EcoKeg – especially with the ReKegging in mind, and TCO if you’re doing your own ReKegging. Speak to a brewer about this, or EcoKeg themselves. The most well known user of EcoKeg I know is Moor – who also take advantage of how easy it is to condition in EcoKeg. Moor keg is consistent and reliable so in my mind prove both EcoKeg and keg conditioning can be a good thing. 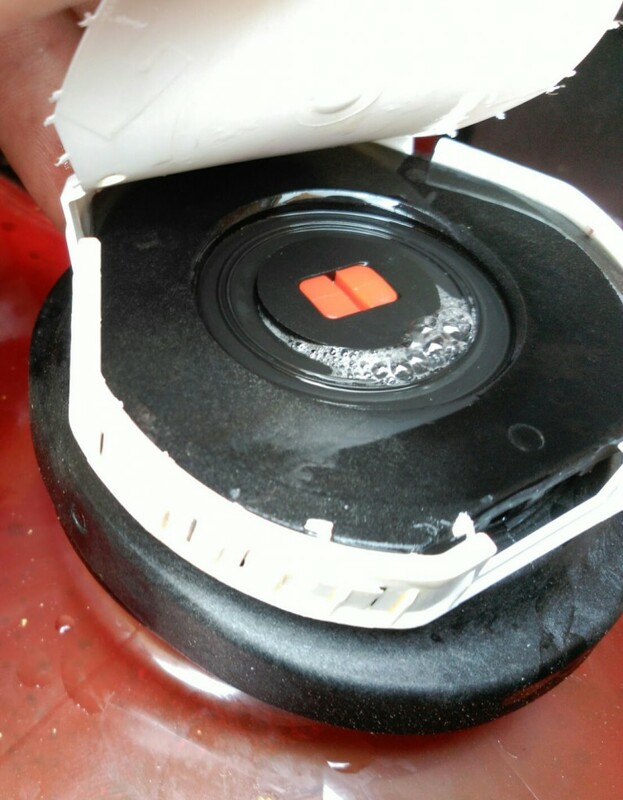 EcoKegs have the disadvantage of being the size of a 50l keg despite being only 30l. But a storage advantage that they stack – which is nice. But they’re not as space-efficient as KeyKegs. KeyKeg is possibly the most widely used “craft beer” keg packaging – and this is probably why it is possibly also the most discussed, and ranted about. 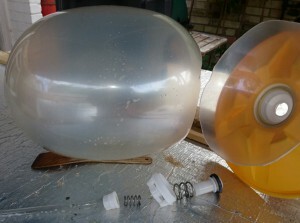 The old cardboard-outer spherical KeyKegs attract a lot of dislike. They melt when wet, degrade rapidly with being moved about, and have a habit of dropping their balls. Unfortunately British weather tends to the damp side and sadly British cellar too… this doesn’t help. The next complaint most often heard is that you need a special coupler for them. But folk like myself and breweries who use them tend to stock these. I sell them to customers at near-cost, which is about £38 ex-VAT. Brewfitt stocks them at reasonable prices now too. Old-style cardboard KeyKegs are flimsy and their balls escape. And I believe they choose them on the basis of beer quality. With KeyKeg the brewery gets the beer exactly how they want it and then packages it in a format that makes it harder for someone else to bugger it up. No CO2 top-pressure means no probs with the pub messing with the carb, or being cheap and using air top-pressure to dispense beer (it does happen). In fact KeyKeg makes dispensing with compressed air a perfectly reasonable thing to do. 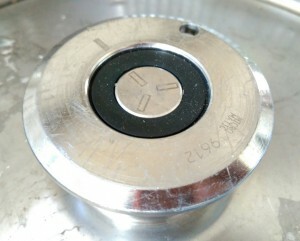 KeyKeg also reduces risk of contamination of the beer. I’ve seen CO2 lines in pubs that don’t look like they’ve been replaced for over a decade. I’ve seen some that seem have had beer backed up the lines even (and presumably never cleaned/replaced). Not to mention the sad state of coupler cleanliness I’ve spotted in places too. Line-cleaning via your coupler is great – but is not where coupler maintenance ends! 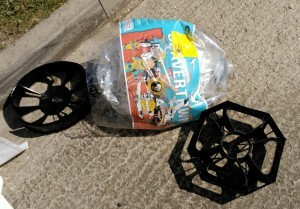 The new SlimLine KeyKegs are easy to break down to toss in the recycling too. Just how recycling-friendly they are I do not currently know however. I don’t like these. I’ve had more trouble with them than any other form of keg. Technically they’re the same as a steel keg, or an EcoKeg… top-pressure with spear. Folk can and do condition in them. My problem with them is they’re not robust. I picked one up the other day and the whole top handle part fell off, and then it started leaking. Another one that arrived recently was leaking from the connector. I’ve had endless problems with the coupler seating on Sankey type ones – finding no way to get the coupler connected without having a leaky seal and thus losing (a little) beer over time and making a mess. From another PoV I know brewers who will not use them simply because they do not trust putting their beer into anything they can see through. No matter how brown it is. The brown plastic is another matter – apparently the recycling chain pretty much isn’t interested in this stuff and its recycle value is low to zero. One plus of Dolium: they stack. They use about as much storage space as KeyKeg but aren’t quite as stable/sturdy when stacked. Apparently they are cheap. They definitely seem it. Only reason I’ve had less trouble with them than Doliums is that nobody uses them any more. Last time I used a PETainer the spear actually fell out internally and I had to prop the keg up upside-down in order to dispense beer from it. Every PETainer I have used (about 4) has given me trouble of some sort. Their Sankey connectors seem to be even worse than Dolium. For what it is worth I actually really dislike Sankey connectors. And doubly dislike breweries who ship Sankey type kegs without caps on the connectors! (Too many do this! They’re cheap… BUY. SOME. FFS.) I’ve had some that don’t even seem to have been post-fill sanitised by the brewery. The sankey connector is a grime-trap and a pain to clean. By comparison sanitizing an A or G type coupler in the cellar is trivial and quick. But Sankey seems to be the defacto “craft keg” standard… so on those grounds perhaps the best choice for your kegs if you’re not going the KeyKeg route. A-Type keg connector, so much more sanitary! Not often seen, I’ve had some foreign beers in various forms of 1-way keg I can’t recall the names of. 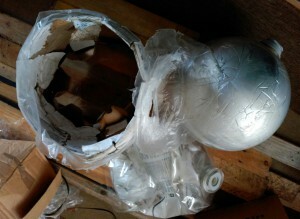 There are also EcoFass kegs that are a bit like KeyKegs (beer-in-bag) and a new entrant to the UK market is Emmerald. I expect we shall see more takes on the 1-way & plastic keg over the coming years. The answer is not so simple. I’m happy to work with steel kegs, KeyKegs, and EcoKegs… they each have different properties and advantages. It is up to the individual brewer/brewery to determine what works best for them from the options available. I like the sheer robustness and handling of steel kegs, I like that EcoKegs are light as well as robust and highly reusable, I like the technology of KeyKegs as well as their compact and stackable form-factor.